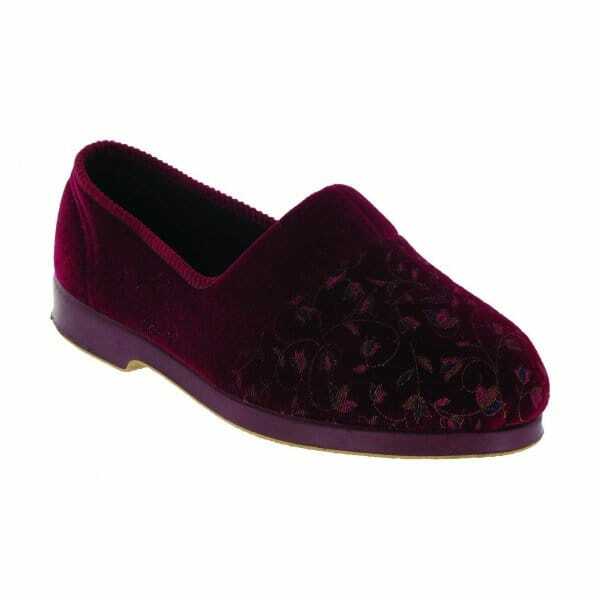 Slip into a world of comfort and luxury in the ladies Zola slippers by Great British Slippers. With a fully floral designed upper, they provide a look of style and elegance, so you can relax whilst looking great. Allow the soft textile lining to surround your feet in a world of comfort and warmth; perfect for those cooler nights. Perfect for every lady, but particularly those who enjoy gardening or simply relaxing in the gardening as the durable rubber sole makes them ideal for light outdoor use.